Provide comfort for the family of Dorothy Graves with a meaningful gesture of sympathy. Dorothy Louise “Mama Doofy” Graves, age 87, of Milton, Kentucky, passed away on Wednesday, April 3, 2019 at Hosparus Health Inpatient Care in Louisville, Kentucky. Born May 23, 1931 in Nabb, Indiana, she was the daughter of Gail Botts and Pansy Bernice (McCreary) Stackhouse. On May 9, 1947, she was united in marriage to Oma Odell Graves in the home of Judge Ward in Milton. Since the young age of fifteen, Mrs. Graves always worked on the farm, cleaned houses, and was a supportive wife and mother to her family. She was baptized at Middlefork Christian Church but attended Milton United Methodist Church for over thirty years. Later in life, she attended Salvation Army Church in Madison, Indiana. She enjoyed traveling, reading, sewing, crossword puzzles, making quilts, gardening, canning, and spending time with family and friends. She will be sadly missed by one son, Larry Graves and his wife, Angela of Milton; three daughters: Linda Surratt and her husband, Lonnie of Milton, Susie Napier and her husband, Terry of Sevierville, Tennessee, and Karen Evans of Milton; one sister, Catherine Shepherd and her husband, Bill of Lexington, Indiana; two brothers: Robert Stackhouse and his wife, Marcella and David Stackhouse and his wife, Betty, all of Dupont, Indiana; her grandchildren: Shannon Hoskins and her husband, Jim, Shane Surratt and his wife, Stephanie, Anissa Kirchoff and her husband, Tim, Melissa Jamiel, and Crystal Chandler and her husband, Tony; her great-grandchildren: Casi Oakley and her husband, Chris, Chris Hoskins, Destinee Surratt, Tyler Surratt, Dakota Surratt, Dylan Chandler, Madisyn Chandler, Ashley Jamiel, Jacob Kirchoff, Mckayla Kirchoff, and Caden Kirchoff; her great-great-grandchild, Lexi Monroe; ten nieces; six nephews; several great nieces and nephews; her longtime companion dog, Penny, her dog, Luckie, and her cats, Princess and Tiger. She was preceded in death by her parents; her husband in August 1986; four sisters: Margaret Stackhouse, Leona Bellamy, Mary Ann Garrett and Shirley Mills; one brother, Donald Stackhouse; one grandchild, John Michael Sanders; and one great grandchild, Caleb Kirchoff. Reverend Mike McArter, Lt. Vinal Lee, and Capt. Brenna Lee will conduct funeral services at 11:00 AM Friday, April 12, 2019 at Lytle Welty Funeral Homes & Cremation Service, Vail Chapel, 117 Holt Drive, Madison's Hilltop, with interment to follow in Moffett Cemetery, Milton. Friends and family may call from 5:00 to 8:00 PM Thursday, April 11 and from 9:00 AM until the time of service on Friday at the funeral home. The family requests memorial contributions be made to the Salvation Army in Madison. Contributions may be made at any of the Lytle Welty Funeral Homes & Cremation Service locations. 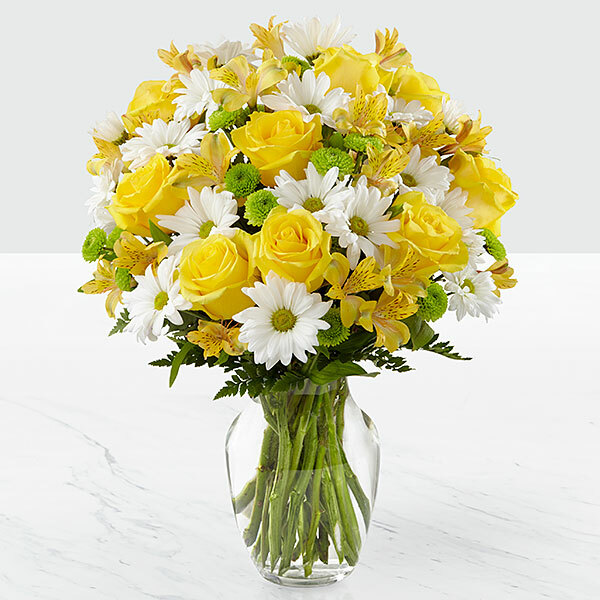 To send flowers in memory of Dorothy Louise "Mama Doofy" Graves (Stackhouse), please visit our Heartfelt Sympathies Store. Donations are being accepted for: SALVATION ARMY. Richard Napier and Nancy Green family sent flowers to the family of Dorothy Louise "Mama Doofy" Graves (Stackhouse). Your, Mother, Sister, Grandmother, Aunt / Great Grandmother and Aunt, Neighbor, and Friend to so many, Dorothy touched me from our very first meeting. I was blessed to have attended to her care and needs, during her stays at our facility. She kept us girls on point with her concerns and her wit will forever be treasured.. I thank each of you for sharing her and entrusting her care with me and all fellow associates. May, God be with each you today, tomorrow, and the days ahead. God bless each of you. Richard Napier and Nancy Green family purchased flowers for the family of Dorothy Graves. It was truly a blessing knowing you. You were an amazing lady full of love and kindness. You will be missed so very much. Fly high Mama Doofy! Mom, I will forever miss you. You have not only been my mother, but my best friend, mentor, roll model, travel companion, and my biggest moral supporter. You were my rock when Tom passed away and stood right beside me every step of the way. I am not sure how I am suppose to go on without you. God has received another angel and I hope to someday be with you, daddy, Tom, and the others. Rest in peace my sweet, independent, and sometimes stubborn mother. You will be forever missed and in my heart. I love you!